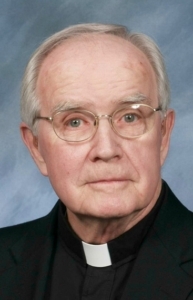 Obituary: Father James F. Degnan, 83, long-time Hopkinton pastor. Published 2/22/2013. Obituary. Father James F. Degnan, 83, passed away suddenly Feb. 10, at Massachusetts General Hospital with his family by his side. He recently celebrated his 58th anniversary of ordination on Feb. 2. Born in Lawrence on Sept. 12, 1929, Father Degnan was one of three children of the late James T. and Anna (Larose) Degnan. He was raised as a member of St. Patrick Parish, and attended St. Patrick Grammar School. He graduated as an honor roll student from Central Catholic High School with the class of 1947. Father Degnan studied for the priesthood at St. John's Seminary and was ordained by Archbishop Richard Cushing at the Cathedral of the Holy Cross on Feb. 2, 1955. Between 1955 and 1963 he served as an assistant at St. Jerome in Weymouth and then St. James, in Wellesley. In 1963 he returned to the place of his ordination, Cathedral of the Holy Cross as an assistant there until 1971. He received a fellowship for study at the University of Pittsburgh from 1971 to 1972 and, on his return to the archdiocese, was named an assistant to Father John Boles, his classmate, while serving as a part-time assistant at Sacred Hearts Parish, Malden. He returned again to the Cathedral parish in 1973. He served as principal of Cathedral High School from 1973 to 1977 and then as its director of development from 1977 to 1978, while also living at the parish as a technical assistant. In 1978, he was named associate pastor of Our Lady of Lourdes Parish in Jamaica Plain, and on Dec. 12, 1980, Cardinal Medeiros named him pastor of St. John the Evangelist Parish in Hopkinton, where he would serve for over 25 years. 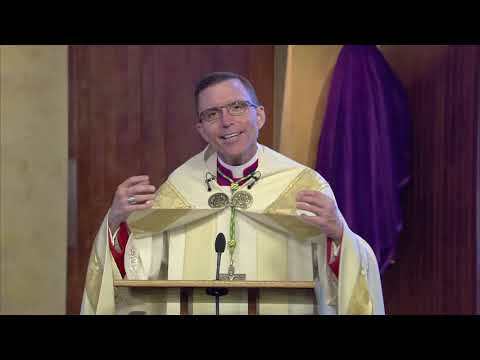 While in Hopkinton, Cardinal Law appointed him vicar of the Natick vicariate of the archdiocese in 1988 and in 1994 he had a sabbatical/priestly renewal program at the Pontifical North American College in Rome. Father Degnan retired as pastor from St. John the Evangelist Parish in Hopkinton on June 12, 2006. Though he was granted senior priest/retirement status and went on to reside at Regina Cleri in Boston, he continued to minister to the people of St. Patrick Church in Lawrence until his sudden death. He is remembered for his love of music, golf and traveling, including several trips to Ireland. He is survived by his nephews: Leonard J. Degnan Jr. and his wife Carla M. of North Andover; James T. Degnan of Hampstead, N.H.; and his nieces: Judith M. Marte and her husband Hipolito of Pembroke Pines, Fla.; Nancy E. Bonugli and her husband Jay of Tewksbury and Kathleen M. Degnan of Del Ray Beach, Fla. He is also survived by his sister-in-law Margaret A. Degnan-Reid of Andover as well as many grandnieces and nephews. He was predeceased by his brother Leonard J. Degnan Sr. and sister Jacqueline D. Lawlor. Cardinal O'Malley presided at his funeral Mass Feb. 16 at St. Patrick Church, Lawrence. Burial was at Holy Sepulchre Cemetery in North Andover.